So I’ve sent the proofs of ‘Not Thomas’ back to my publisher and that’s all my input for my first (& hopefully not my last) novel for adults done. For the last week and a half, I’ve been reading those proofs very carefully – for ‘reading’ read ‘rereading and rereading and rereading’ (and I could probably add on a few more too). I was determined to be thorough as I knew this was my very last chance to change anything that wasn’t quite right. I knew it wasn’t possible to make big alterations at this late stage, so I thank my lucky stars I didn’t come across anything major I felt needed changing. But something did surprise me – surprise isn’t quite the right word, shock is probably much more accurate. While I was reading through the proofs for what I expected to be the last time, I came across a description of a man called Fly. He’s definitely a horrible character, someone who bangs on the doors and scares Tomos. Fly has a web tattoo on his face, so Tomos calls him ‘the man with the web tattoo’. Nice & easy – hard to get wrong, or so you’d think. And yet, after reading the book so many times, I spotted a place where Tomos calls Fly ‘the man with the spider tattoo’. I came out in a cold sweat. I’ve been working on this novel for a long time (a ridiculously long time in fact) and I probably wrote that scene at least four years ago. So I would guess I’ve read that description over a hundred times. And every time I must have read ‘web’ not ‘spider’. Scary. Thanks be to St Anthony for Word’s ‘search & find’ tool. I searched and was very relieved to find no other spiders lurking. But by now my confidence in my own ability to spot obvious mistakes was thoroughly shaken. What if there were other things I’d missed? So I started at the top again – reread, reread, reread. Finally, I posted the proofs back to Honno along with my notes, and I was extremely relieved, a few days later, when my editor confirmed she’d changed that one ‘spider’ to ‘web’. Of course, there were plenty of other typos that needed changing, but none of them bothered me as much as that spider. And that’s all the checking and changing done, as far as I’m concerned anyway. The next time I see ‘Not Thomas’ it’ll be as an actual book. That feels exciting and a bit nerve-racking too. But it’s very comforting to have had some lovely comments back from the authors who’ve been reading the manuscript. ‘Heart-wrenching’ & ‘an affirmation of the human spirit’ are quotes I’m particularly pleased with. And all the readers so far have called it an ‘emotional read’. I’m delighted with that. It means, for those readers at least, I’ve achieved my goal. As a distraction from all that proofreading, I went to not one but two book launches. The first was for Helen Flook’s wonderful new picture book, ‘The Great Dinosaur Hunt’. The launch was in Cardiff Museum, where the opening of her book is set. Helen illustrated my first two children’s books and although we’ve exchanged emails over the last few years, we’d never met. So it was really lovely to finally put a face to the name, to chat and to thank her, in person, for designing the cover of ‘Welsh Cakes and Custard’. I loved it from the very first time I saw it, and so many people have commented on how eye-catching it is. Covers are so very important, and Helen did a brilliant job. The second book launch was for Eloise Williams’ gorgeous new children’s novel, Gaslight. That was in Carmarthen’s Waterstones – with wine and nibbles. And yes, cake too! (I have a thing about cake at book launches – see my earlier blog!) Eloise, who along with writing also acts, got us all involved in reading from her novel. It was great fun and a lovely afternoon. I was especially pleased to meet Janet and Penny again. They’re the force behind the excellent Firefly Press which publishes Eloise’s books. I’m looking forward to reading my signed copy very soon. And from Carmarthen I dashed the 20 miles or so to Llanelli, and storytelling at Spoken Word Saturday in a very atmospheric converted chapel. I caught the second half and was just in time to hear my very own book launch being announced for the afternoon of June 10th at the Spoken Word event. So what with that announcement, and having sent off the proofs, ‘Not Thomas’ seems very real now. Like I said, it’s exciting and a bit scary – my first (& hopefully not my last!) novel for adults is almost ready for the big, wide world (well, Wales at least!). What’s your favourite sort of book launch? Been to any interesting ones lately? Or have you had any shocks when you were proofreading? 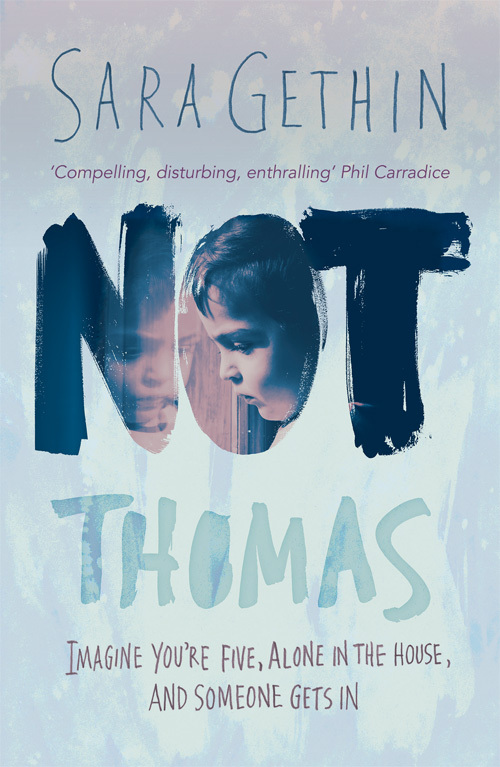 My debut novel Not Thomas is published by Honno Press and is available to pre-order now on Amazon. Wow – I loved reading this post! It’s full of so many things that interest me, and I enjoyed how you wrote so enthusiastically and vividly about them! I had a white night & woke up at 1:30. What to do? Well, thanks to Net Galley (I mention them in my new post) I started reading the galley of Jen Waite’s gut-wrenching “A Beautiful, Terrible Thing” and her story was so riveting that I didn’t go back to sleep until 4:30 a.m. – arrgrh! So please forgive this rambling post full of syntax errors and typos, I’m sure. I TOTALLY related to your spider/web scare! I had a similar fright with my MS (well, actually more than one fright, sigh…) and, like you, I had read and re-read it and so on. I’m so glad you found the mistake and that there weren’t any others ones like that. Recently I found a typo in “Anne of Green Gables” and I couldn’t believe it. I’ve read that a book will always have typos no matter how great the publisher and editing team are, and I’m sure you’ve heard that too. What fantastic photos of you with the authors/illustrators! It was a pleasure reading about your personal interactions with everyone, particularly about how you finally met the illustrator who did such a fab job of your book cover. I haven’t been to any interesting book launches in a long time. 😦 That needs to change! However, I have a chance to attend one soon. My friend Dan’s wife Amy Ettinger’s book (“Sweet Spot: An Ice Cream Binge Across America”) is being published by Dutton in June. I’m hoping her launch will involve ice cream! Lots of it! Maybe cake too, ha ha! We have several artisanal ice creameries in this town. I’m excited and scared about my book’s debut and that’s not for another 6 months! You sound very grounded, and I hope you keep writing heaps more about your experiences as you launch your book and anything else you care to write about. I’m just like you, Dyane – waking up in the middle of the night in a cold sweat about something related to my book. In fact, it’s the very first thing on my mind when I wake in the morning now too. I don’t feel very grounded! I’m getting by by making lists – I love lists! I can feel a blog coming on about that. Ice cream at a book launch sounds pretty wonderful – although probably a logistical nightmare! Let me know how that one goes. What shocked me about my book launch? My publisher said the title didn’t match the content. Fewer people read and reviewed than said they would as well. I saw your post about the 3-book rule. You must have amazing time management skills. Thanks for coming to my blog yesterday and liking my new post about how to run a successful blog. Thanks for your comments. I really don’t manage time that well at all! What a shame about your publisher not liking your title. I was lucky with my latest novel and I kept my own title, but I have had a children’s book title changed by the publisher & I’m still not sure about it. And as for reviews, like you I’ve found it really difficult. If only a fraction of people who promise to review actually do it, I’d be delighted! I enjoyed your blog. I’ve got a lot to learn so am looking forward to more of your posts. Thank you for your reply. I appreciate your compliments on my blog. I would love to have your readership. Book launches in bookshops are always good. Although I enjoyed the launch for Ghostbird (Waterstones, Aberystwyth) I am in fact planning something different for Snow Sisters. Can’t say at this point – it depends if I can make it happen! The most recent one I’ve been to was for Jan Newton’s fab new crime thriller, Remember No More. It was in the arts centre in Builth Wells – very pleasant. Oooh your book launch for Snow Sisters sounds very intriguing, Carol! Hope I get an invite! My launch for Not Thomas should be in Llanelli on the afternoon of Saturday, June 10th. I’m finalising things next week (so more details to follow, as they say). I would love you to come, if you’re able to.